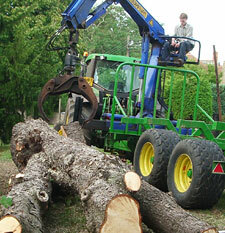 At Deep in Wood we are proud of the service we have to offer when it comes to tree removals. Our main unit can be found operating throughout Oxfordshire and the surrounding counties as this has capabilities of lifting up to 6 tons. We have specialist machinery with house lifting capabilities of up to 11 tons. For larger sections cranes can be hired in. We also have smaller lifting facilities coupled with a small excavator which is suitable in fragile areas. 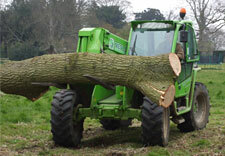 We have a network of tree surgeons located throughout Oxfordshire and neighbouring counties along with specialist contractors who help carry out some of the felling for us.